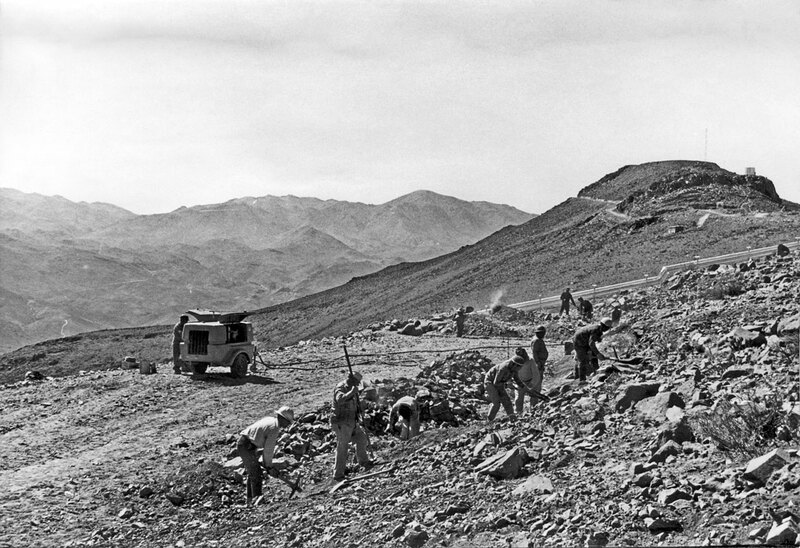 Construction of La Silla on the summit of the Chilean mountain Cinchado-North in the outskirts of the Atacama desert, started in 1965, three years after ESO’s founding . The site was chosen for its accessibility, dry climate, and ideal observing conditions — perfect for constructing a world-leading observatory. Observations began using the relatively small ESO 1-m and ESO 1.52-m telescopes. The number and variety of telescopes on La Silla has increased as the observatory has matured, with the site now hosting 13 operating telescopes — not only from ESO but from countries, universities and collaborations around the world. These telescopes include TRAPPIST–South, the Rapid Eye Mount telescope (REM) and the TAROT telescope gamma-ray burst chaser. 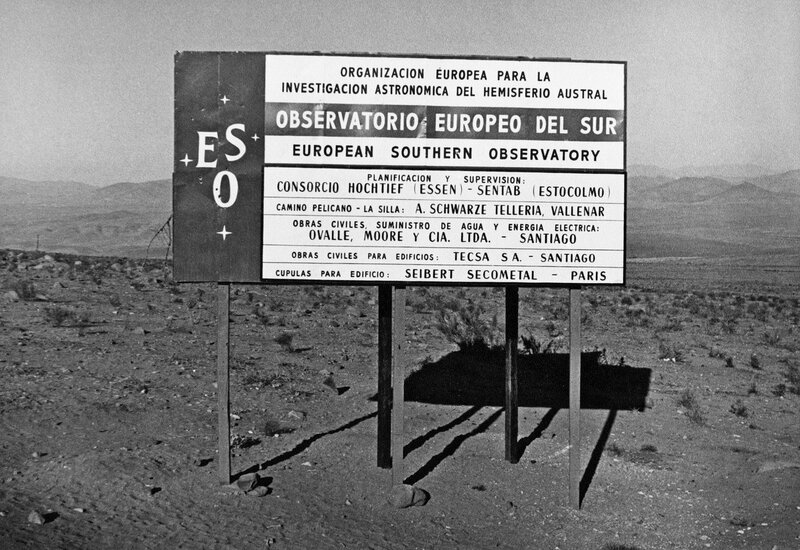 Even 50 years after its inauguration, La Silla remains an ESO stronghold at the forefront of astronomy, providing the data for over two hundred papers each year. Though ESO’s flagship observatory is now the Very Large Telescope (VLT) at Paranal, ESO still operates two of the most productive 4-metre-class telescopes in the world at La Silla. ESO’s first major telescope, the ESO 3.6-metre, is home to the world's foremost extrasolar planet hunter — the High Accuracy Radial velocity Planet Searcher (HARPS), a spectrograph with unrivalled precision that has discovered scores of alien worlds. The second ESO telescope still in operation at La Silla — the 3.58-metre New Technology Telescope (NTT) — broke new ground for telescope design and was the first in the world to have a computer-controlled main mirror. This innovative technology, called active optics, was developed at ESO and is now applied to most of the world's large telescopes. As well as performing a wide variety of scientific observations, this telescope was instrumental in paving the way for the VLT. Both telescopes will receive upgrades to keep them at the astronomical vanguard. The NTT will soon host the pioneering SoXS instrument, a spectrograph designed to follow up transient and variable astronomical events from imaging surveys. The ESO 3.6-metre will host NIRPS, an infrared planet-hunting instrument that will complement the already impressive abilities of HARPS. These new arrivals, alongside new hosted telescopes like ExTrA and BlackGEM, will ensure that La Silla Observatory remains at the forefront of astronomical science. 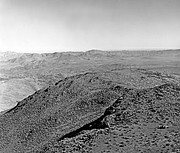 Many of ESO’s top-ten discoveries were made using telescopes at La Silla. 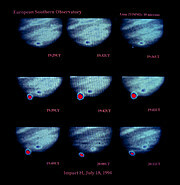 Highlights of the vast body of scientific research over the last five decades include: the discovery of the accelerating expansion of the Universe — a finding that earned the 2011 Nobel Prize in Physics; the discovery of a planet around the nearest star to the Sun; the observation of the first light from a gravitational wave source; the determination of the most accurate distances to nearby galaxies by the Chilean-led Araucaria project and the discovery of seven planets around an ultracool dwarf in the TRAPPIST-1 system. Two particular astronomical events shook the routine of La Silla, and captured the attention of its armada of telescopes for weeks: the explosion of SN 1987A and the collision of comet Shoemaker-Levy 9 with Jupiter. The latter in particular disrupted life at La Silla, with 10 telescopes trained on Jupiter and live press events in Garching and Santiago sharing the latest developments in the cataclysmic collision with the media. 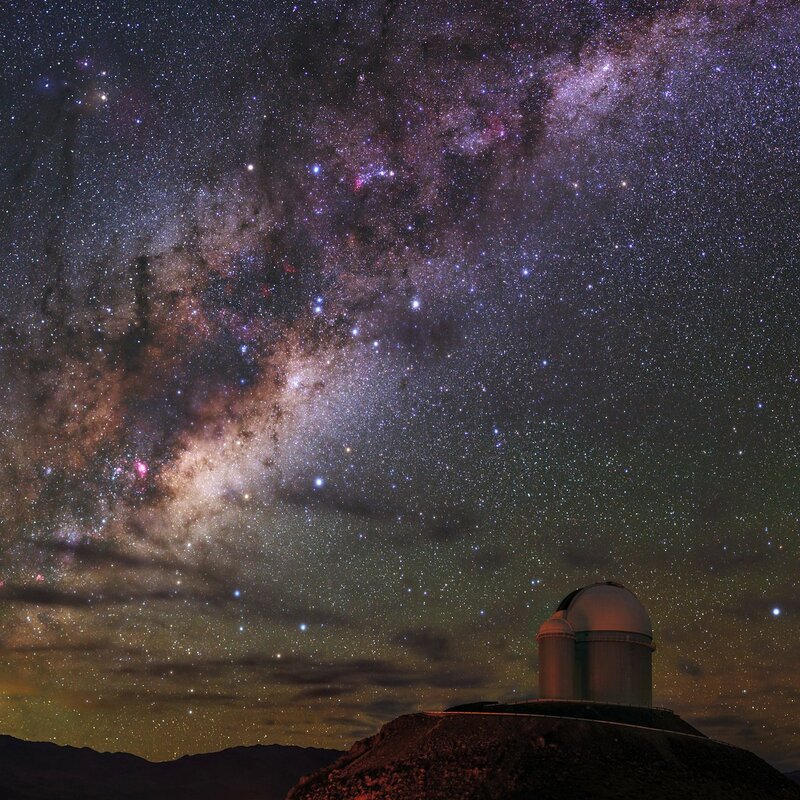 As well as its astronomical breakthroughs, La Silla has played an extremely important role in the development of astronomy in Chile, and Chilean astronomers routinely use telescopes in La Silla for their scientific research. 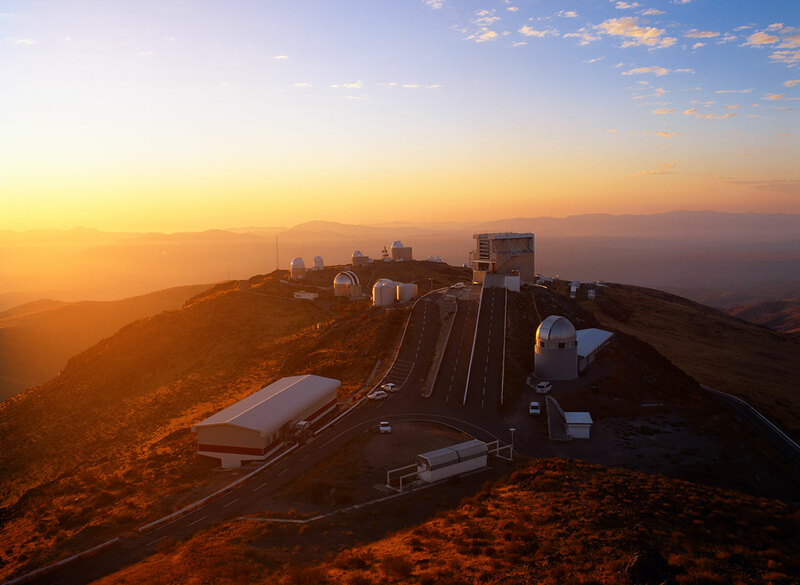 The operation and continuous development of ESO facilities including La Silla has also provided a wide variety of opportunities for the involvement of Chilean industry, engineering and science. 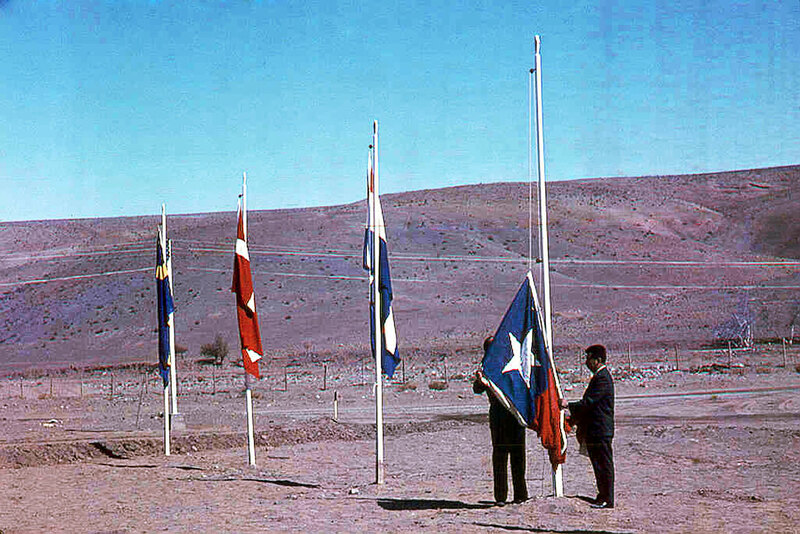 The telescopes of La Silla have also served as a training ground for new generations of European and Chilean astronomers, as shown for instance by the ESO-NEON Observing Schools that are regularly hosted at La Silla. La Silla has endured challenges as well as enjoyed successes; while the observatory enjoys almost perfect observing conditions, it is also at risk of regular tectonic activity. No major problems have yet been caused by earthquakes at La Silla, despite occasionally being close to the epicentre of major earthquakes. The observatory now faces another troubling risk — light pollution from the nearby Pan-American Highway threatens La Silla’s dark skies. As this distinguished observatory celebrates its fiftieth anniversary, it will advance not just professional but also amateur astronomy and widespread appreciation of astronomical phenomena — this year a total solar eclipse will be visible from La Silla. As the Moon covers the face of the Sun, turning day into night over a 150-km-wide swathe of northern Chile, hundreds of visitors will celebrate not only this rare astronomical event, but also the scientific legacy of La Silla, ESO’s original observatory. 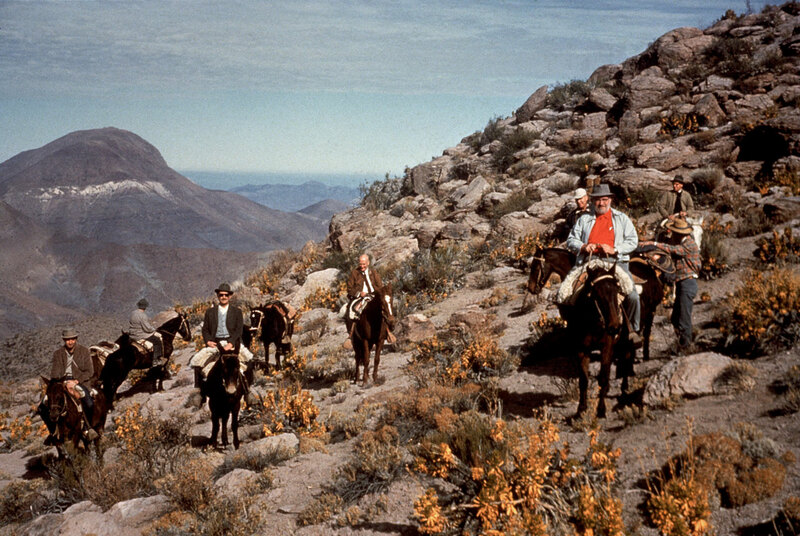 “La Silla” — Spanish for “The Saddle” — comes from the name local charcoal burners gave to Cinchado-North, the saddle-shaped mountain that became the site of ESO’s first observatory. ESO is the foremost intergovernmental astronomy organisation in Europe and the world’s most productive ground-based astronomical observatory by far. It has 16 Member States: Austria, Belgium, the Czech Republic, Denmark, France, Finland, Germany, Ireland, Italy, the Netherlands, Poland, Portugal, Spain, Sweden, Switzerland and the United Kingdom, along with the host state of Chile and with Australia as a Strategic Partner. ESO carries out an ambitious programme focused on the design, construction and operation of powerful ground-based observing facilities enabling astronomers to make important scientific discoveries. ESO also plays a leading role in promoting and organising cooperation in astronomical research. ESO operates three unique world-class observing sites in Chile: La Silla, Paranal and Chajnantor. At Paranal, ESO operates the Very Large Telescope and its world-leading Very Large Telescope Interferometer as well as two survey telescopes, VISTA working in the infrared and the visible-light VLT Survey Telescope. Also at Paranal, ESO will host and operate the Cherenkov Telescope Array South, the world’s largest and most sensitive gamma-ray observatory. ESO is also a major partner in two facilities on Chajnantor, APEX and ALMA, the largest astronomical project in existence. 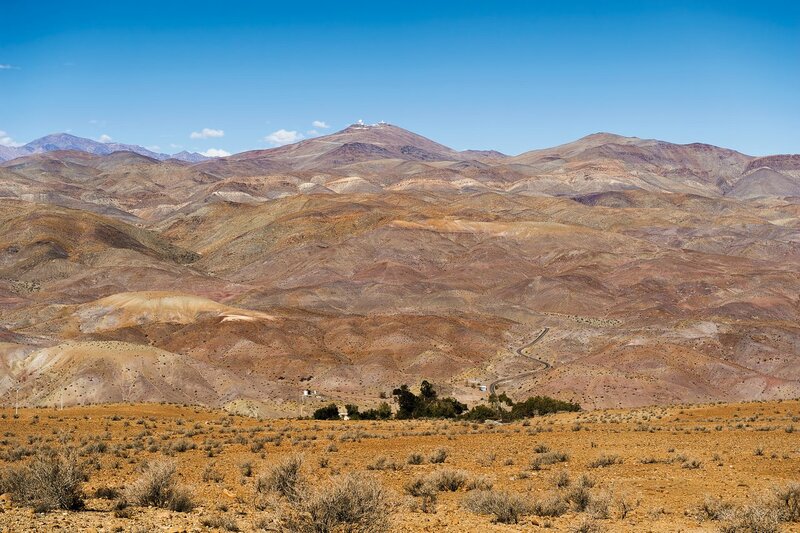 And on Cerro Armazones, close to Paranal, ESO is building the 39-metre Extremely Large Telescope, the ELT, which will become “the world’s biggest eye on the sky”.